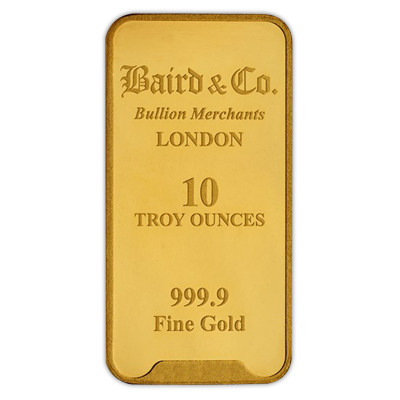 This 10 Oz, 311.035 Gram (999.9 fine) Minted Gold Bar is manufactured by Baird & Co in the UK. Each bar is certified for weight and purity and is fully encapsulated in tamper proof packaging. Free, fully insured UK delivery.